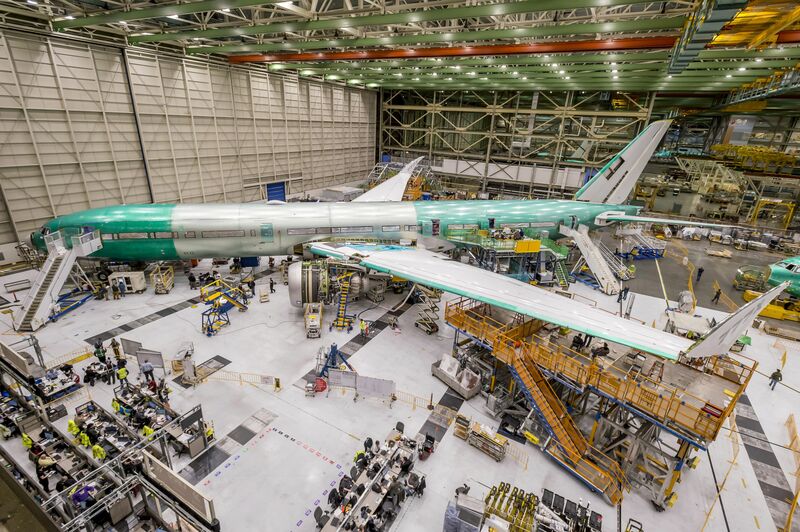 There's no Moon, it's a jet engine: On Friday, Boeing said it had hung the first two General Electric GE9X engines during the wing of its first 777X test aircraft, WH001. 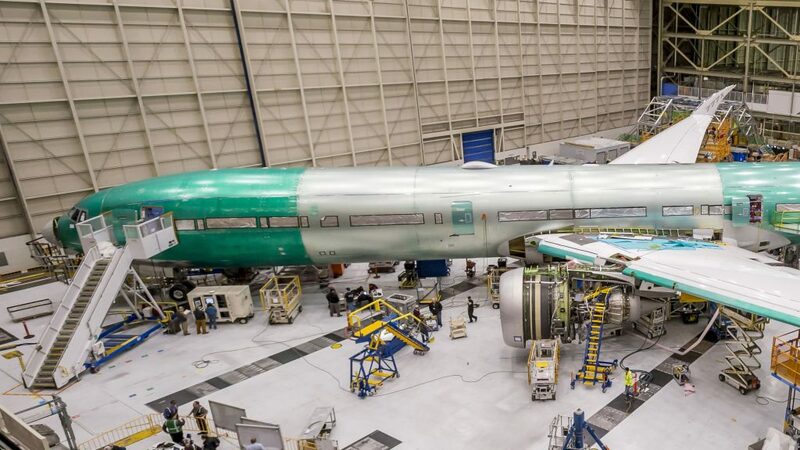 The plane is moving towards the factory roll-out after Boeing completed the structural collection of the aircraft in November and the activation of its electrical and hydraulic systems in December. Boeing's original plan was to hang non-flying early-system test engines to keep the program on track, but the company said the GE9X units hung under the wings WH001 are the ones to be used for the first flight. 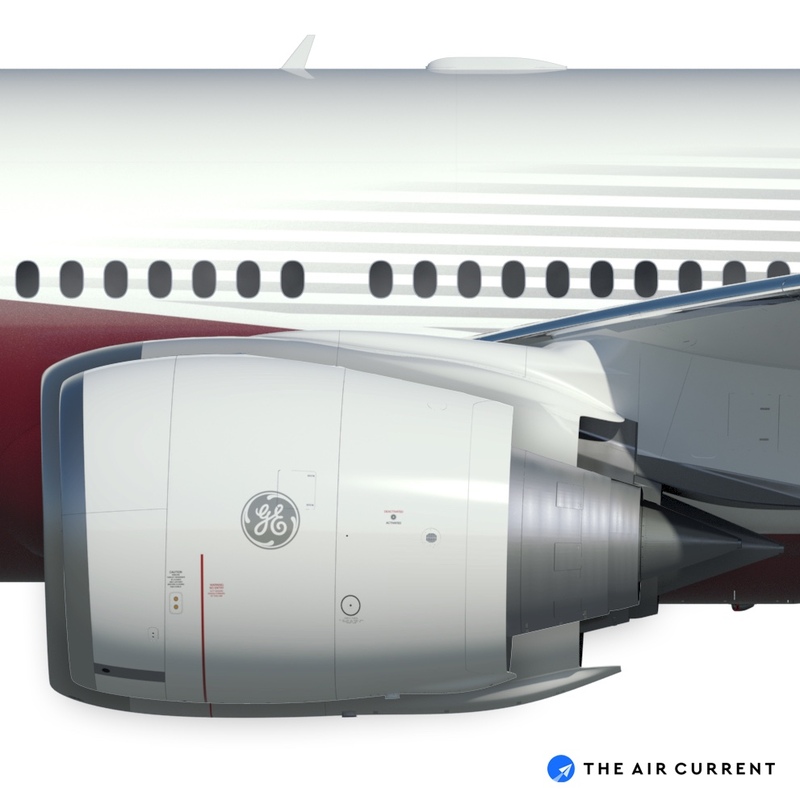 34-inch GE9X engine on the Boeings 777X as big as a 737 fuselage? No. It's even bigger. Although significantly larger than the gracious GE90 (the most powerful turbofan ever developed), GE9X gives less pressure than its predecessor. At 105,000 pounds of rapids, it is 10,000 less than the GE90 that operates aircraft as 777-300ER. 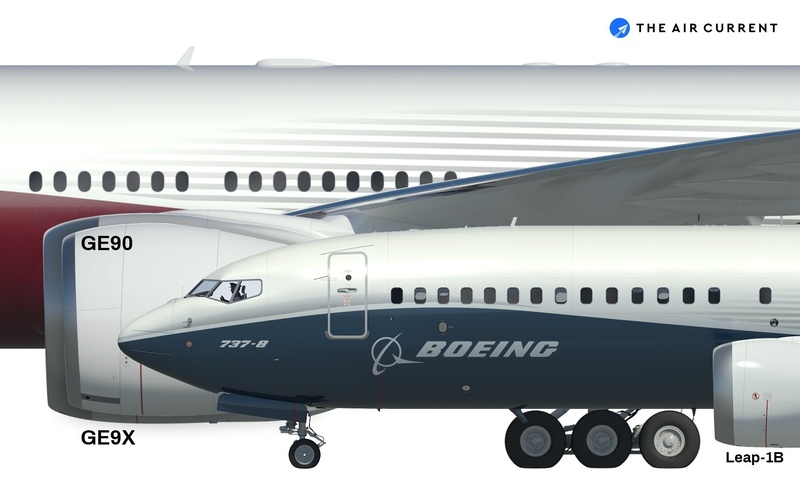 With its larger wing and wing area, Boeing designed the jet not to need so much of a pressure to get off the ground with the extra lift. – J.O.